Assault Lawyers Parramatta. Assault charges are a extremely serious offence, if you have been charged with assault, you need to contact our Parramatta Assault Defence Lawyers at George Sten & Co for legal advice. Engaging an experienced assault lawyer can make or break your case and here at George Sten & Co, we have over 50 years experience in criminal law. Whether or not charges are laid against an accused person, assault is a criminal offence, which may occur in the community far more frequently than commonly perceived. The definition of what constitutes an assault is found in the common law which provides that an assault is any act – and not a mere omission to act – by which a person intentionally – or recklessly – causes another to apprehend immediate and unlawful violence. The gist, or essential factor that is at the centre of the offence of assault is the fear of immediate and unlawful violence. Therefore, there does not need to be any actual immediate and unlawful violence for an assault to have been committed. If a person fears that such violence may occur, an assault may have been committed. Importantly, in the offence of assault, the violence which a person may fear to happen must be immediate and unlawful. This means that the violence feared must be thought by the victim to occur reasonably soon. Further, the potential violence must be unlawful. This means that the general violence that will occur during a boxing or mixed martial arts match, a game of rugby, AFL or any other sport which involves an extent of action and somewhat violence will not constitute an assault as defined in the criminal law. This exception is excluding any violence which occurs which is not part of the actual game or is outside the rules of the game. Section 61 of the Crimes Act 1900 (NSW) provides that whosoever assaults any person, although not occasioning actual bodily harm, shall be liable to imprisonment for two years. Under the Crimes Act there are an extensive range of offences which involve an assault of some kind. An assault under the Act may occur in various situations and circumstances and may involve a verbal, physical or sexual act. An assault may even be committed where a person doesn’t say anything. The common law has provided that where a person calls another and remains silent, this may constitute an assault. This depends however on the particular circumstances. Where actual physical violence is caused to a person by another, this is known as battery however the term ‘assault’ has come to be used to describe both physical and non physical acts which cause fear of immediate and unlawful violence. The common law has also provided that in certain circumstances, an assault may occur even where a person apparently consents to the physical violence which is caused to them. For example, where a person consents to being violently punched, hit, or physically injured in some way, if the prosecution is able to obtain sufficient and admissible evidence to prove the necessary elements of assault, an accused person may still be found to be guilty of the offence. In other words, consent in particular situations will not stand as a valid defence to assault. 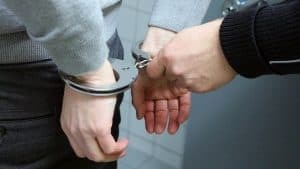 There are a number of defences which may be raised by a defendant where they have been charged with an offence involving some kind of assault. Division 3 of the Crimes Act provides for the defence of self-defence. Self-defence may be raised if a person is (in the act in question) defending him or herself or another person, or to prevent or terminate the unlawful deprivation of his or her liberty or the liberty of another person, or to protect property from unlawful taking, destruction, damage or interference, or to prevent criminal trespass to any land or premises or to remove a person committing any such criminal trespass. In other words, a person may be able to use self-defence as a legal defence in response to an assault charge if the accused person committed the relevant act to prevent an unlawful act occurring to them or someone else. Also, the act(s) of self-defence a person uses must be a reasonable response in the circumstances as he or she perceives them. There are exceptions to this defence and this is not an exhaustive analysis. Under Division 9A a person may raise the defence of lawful correction where they have been charged with an offence involving physical force to a child. This defence will succeed where the defendant is either a parent or person acting for a parent of the child and the force was reasonable having regard to the age, health, maturity or other characteristics of the child. A court will also consider the nature of the child’s misbehaviour or other relevant circumstances. There are further exceptions to this defence and this is not an exhaustive analysis. Intoxication may be raised as a defence by a defendant in some assault cases. Whether or not a defendant is able to successfully raise this as a defence will depend on the charge(s) laid against them. A defendant may be able to raise this defence where the prosecution is required to prove specific intent which will be necessary in certain assault offences. A court can consider the level of a defendant’s intoxication in determining whether the prosecution has proved that a defendant formed the requisite intent to cause a specific result. In New South Wales the Crimes Act provides for a range of offences which involve an assault of some kind. If you have been charged with an assault offence, it is crucial that you seek urgent legal advice. For specialised assault lawyers, contact George Sten & Co Criminal Lawyers. Our Assault lawyers Parramatta are here for you 24/7 and can be contacted around the clock on 0412 423 569.. During business hours, call us on (02) 9261 8640 or email at georgesten@criminal-lawyer.com.au. We regularly attend Parramatta Local Court.